The Hyper-V services displayed running in the Services management console, and permissions had not changed, however when checking for dependencies for the Hyper-V Virtual Management Service it show no dependencies. Comparing this to another Hyper-V host reveals the service depends on the Remote Procedure Call (RPC) and Windows Management Instrumentation service. Both of these were running as well. Always have a full backup of your system before making any changes! Note: Microsoft recommends troubleshooting, and restoring the WMI files rather than deleting them as I describe here. Deleting the files can affect 3rd party software which may require reinstalling. For more information see the links at the end of this article. In this case the WMI checks showed no inconsistencies and a reset failed, so rebuilding was the best option. Stop the Windows Management Instrumentation service, which will warn you that it will also stop the Hyper-V Virtual Machine Management and other services, verifying the link between the two. Restart the host. Upon reboot it will recreate the Repository folder and its contents. You may find the first logon hangs for a few minutes and also it may be slow for a while as it rebuilds the files. Spend an evening with Mitch Garvis, Virtual Technology Evangelist with Microsoft Canada, getting to know the Microsoft server virtualization story. Learn not only about Hyper-V, but also the management and Private Cloud scenarios that System Center 2012 SP1 brings to the table, Learn how to build your cloud, and also how Microsoft sets itself apart from (and ahead of) the competition in the Virtualization world! This informal event will consist almost entirely of discussions and demos, with only a smattering of PowerPoint and fluff. The demos will be entirely unscripted, so you will get to ask what you want to see… and Mitch will do it! I recently needed to virtualize an SBS 2003, that is to say convert it from a physical machine to a virtual machine on a Hyper-V host. 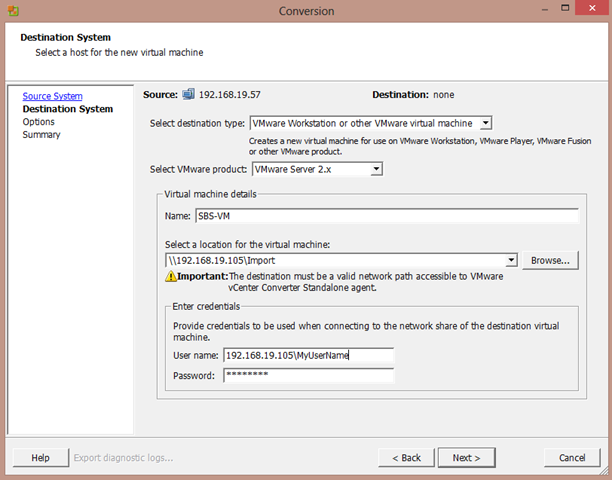 I have done SBS conversions to VMware hosts in the past with with little or no problem, but converting to Hyper-V, my preference , was a little more involved. I first Googled the task and found many suggestions which based on the various articles and instinct, using Microsoft’s disk2vhd was the simplest solution. I was wrong. The first run on a test machine using a single disk worked well but did require several ‘tweaks’, and then when I added the data drives, which may have been unrelated, I ran into many problems, especially when I tried installing the Integration Services components. Though disk2vhd has worked well for me with other operating systems in the past, for some reason the HAL in this case caused problems. I am not suggesting the following is the best method, or even a good method, but perhaps it will be of some help to those attempting the same task. I have posted the steps that worked flawlessly for me on a test server, trail run, and final move. All of the following was done remotely. Note: The process will require re-activation of the SBS license. If SBS is an OEM version; it is a licensing violation to install on different hardware or virtualize, the activation will probably fail, and if it does Microsoft will not assist. If working remotely you will need to maintain access at least to the Hyper-V host throughout entire process. You can use RDP, VPN, LogMeIn, or any of a dozen other alternatives, but make sure it is in place and working, your existing RWW is about to stop functioning until complete. Clean up the initial machine: Remove the second/WAN NIC if present (not the LAN NIC) and run the CEICW (Configure e-mail and Internet Connection Wizard). Note that making network changes remotely can be risky, you can loose access. Run the SBS 2003 Best Practices Analyzer and resolve any problems. Presumably you do not want e-mail delivered to the server, or remote users accessing the server, during the move, so log onto the router and disable port forwarding on the necessary SBS ports 25, 443, 444, 1723 and 4125, for now. 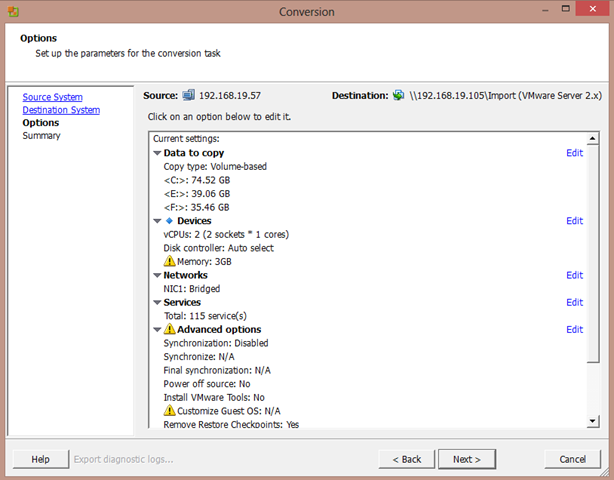 Download and run the free VMware converter tool. When running the tool make sure you right click on the program icon and choose “run as administrator”, if not you will receive an error; “A general system error occurred: Crypto Exception: error:02001005:system library:fopen:Input/ output error:unable to load C:\ProgramData\VMware\VMware vCenter Converter Standalone\ssl\rui.crt”. Review the specifications for the resulting VM as to how much RAM is to be assigned (SBS 2003 is limited to 4GB), number of processors, and if you want to change/increase disk sizes. In my experience the tool took less than 3 hours to convert about 100GB of files on 2 drives using a 10/100 mbps network, a relatively small site. 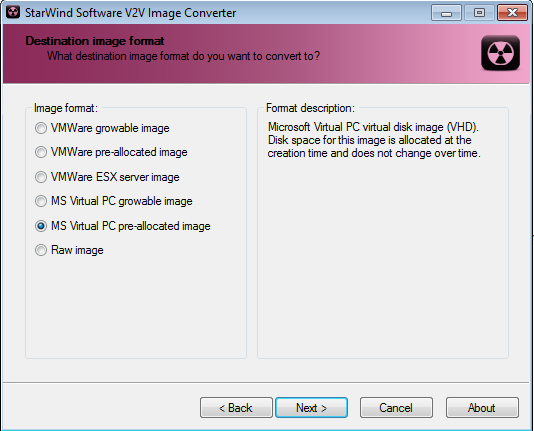 Next download and run the Starwind’s free V2V conversion tool . This will allow you to convert the vdmk file, or files, created by the VMware converter to vhd files which will be compatible with Hyper-V. If you have more than one vdmk, you will need to convert one at a time. You only need the vdmk’s, the other config file/s created by the VMware converter are not necessary. When running the tool, point to the vdmk file and choose to convert to “MS Virtual PC” format. 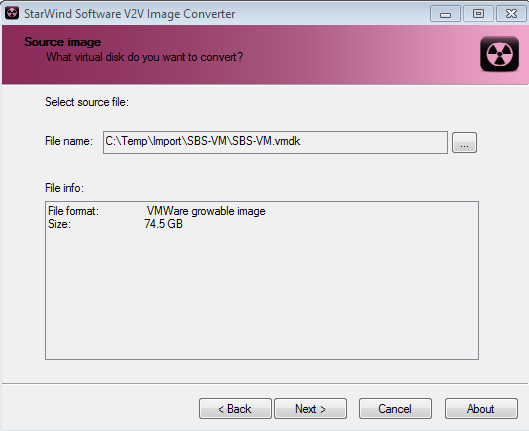 You can also choose whether the resulting vhd (Hyper-V disk) is to be a “pre-allocated” or “growable” image. These are Starwind’s terms for a “fixed size” or “dynamically expanding” disk. The former, “fixed” is recommended on domain controllers, but not a requirement on recent Hyper-V servers. I found the V2V conversion took about 60-70% as long as the previous P2V step. Once completed if you need the drive space you can delete the .vdmk and other files created by the VMware Converter tool. 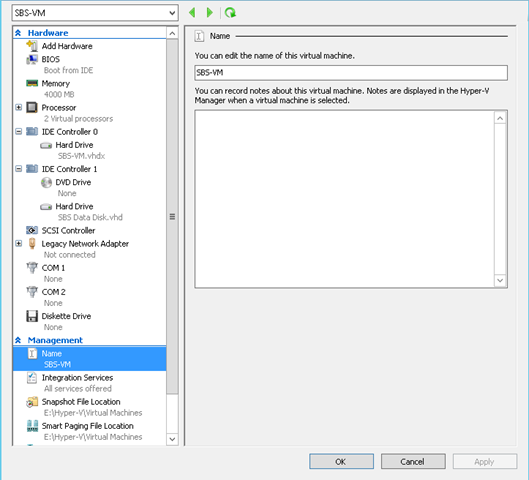 Using the Hyper-V management console you can now create a new VM using the wizard. When doing so presumably you want the maximum RAM, so set to 4000 MB, leave the network adapter as “not connected”, under “Connect Virtual Hard Disk” choose “Use an existing virtual hard disk” and select your system disk (disk containing the C: partition) created by the P2V/V2V steps above, under “Installation Options” select “Install an operating system later”, and click finish. Next, open the settings console for the newly created VM. It will have added a network adapter, remove it and add a legacy network adapter but again if the existing SBS is still powered up on the same network segment choose “not connected”, if you have multiple physical or virtual processors (cores) adjust the number of processors, if you have multiple disks add the others, and review the remaining settings. You are ready to start up the new VM. Boot the Virtual SBS and log in. Ignore any offers to discover and add new hardware. You will be a notice you have 3 days to activate. I recommend waiting until complete before doing so. As mentioned do not install any hardware, but you may be prompted at different stages to reboot which you should do. Note that you will have no mouse for this or the next 4 steps. Manually configure the server’s NIC with the LAN IP, Gateway, and DNS pointing to its LAN NIC IP. You can keep the same IP as the previous server if using the steps I have outlined. Run the “Change Server IP Wizard” located under Server Management / Internet and E-mail, and keep the same IP as you just set. The wizard will likely tell you it failed and you should run again due to inaccessibility to the LAN. You can ignore. Run the CEICW (Configure E-mail and Internet Connection Wizard) angin located under Server Management / Internet and E-mail, and make no changes, just accept the existing configurations. Install the Hyper-V Integration Services by clicking “Insert Integration services Start Up Disk” under “Action” on the menu bar. Allow this to complete and reboot as requested. This can take a little while to run sometimes. After reboot you may want to do some tweaking such as changing display size settings. 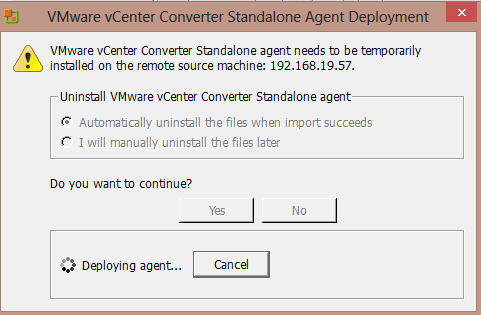 If not automatically removed, uninstall the VMware vCenter Converter Standalone Agent, using add/remove programs in the contol panel. At this point you should be able to shut down the old server. You may want to verify WakeOnLan is enabled and record the MAC address if you think you might have to remotely restart. If so, you can download Solarwind’s Wake-On-LAN tool. You can now enable the Virtual NIC on the SBS by choosing the physical NIC (Virtual Switch) to which you want to associate the Virtual NIC, in the settings configuration of the VM. Perform any internal testing such as access to other LAN resources, Internet access, printer availability, services by clients are working such as redirected My Documents, and anything else with which you might be concerned. Assuming all is well you can now forward the ports on the router to the new Virtual SBS to allow incoming e-mail and remote access by users. 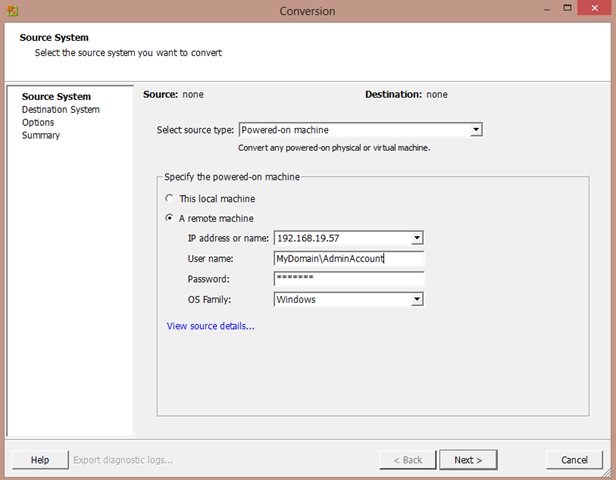 Test e-mail reception, and finally activate the server through windows Activation process. There are already dozens of articles relating to configuring Microsoft’s Hyper-V Server 2008 R2 (the free core version), however a colleague’s intimidation of command line server management inspired me to post my notes to ease his mind and perhaps those of a few readers as well. 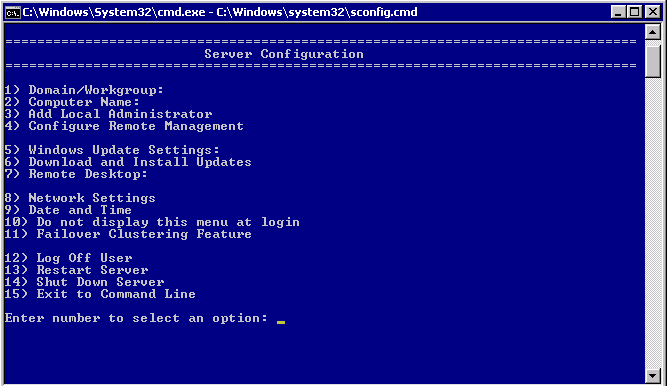 Yes, it is a command line only version of server 2008 R2, with only a 15 line/option GUI to assist with the most basic configurations…….. Yet, after some minor configuration and enabling some basic services, you can manage the server in a very similar way you would manage others servers with; Hyper-V Manager, administrative tools, remote access, a file explorer, and even a web browser. It is worth noting that there are definite advantages to using this version of Hyper-V. It is free, it supports more than 32GB of RAM (server 2008 R2 standard does not, you need Enterprise or Datacenter editions), smaller footprint, and a somewhat limited attack surface. The assumption in this configuration is the Domain Controller and DNS server will be a virtual machine on the Hyper-V host. 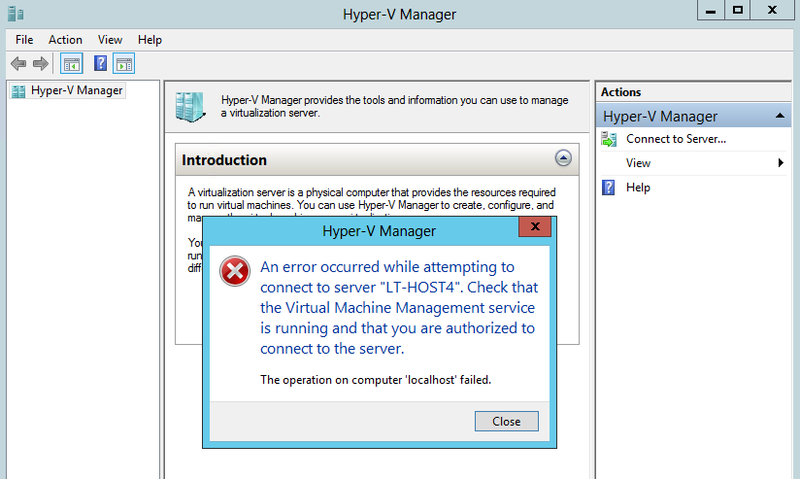 As a result it is recommended the Hyper-V host is not joined to the domain as no domain logon server will be available until after the guest VM has been started. Item #8: Configure the network: Use a static IP. I recommend at least primary server be an internal DNS server, secondary an ISP. (Keep in mind on a domain joined server/PC you should not combine internal and public DNS servers, but this is not domain joined). Best practices suggests 2 NIC’s should be enabled, one for management and the other for use by VM’s, though this is not necessary. Item #5: Set Windows update settings auto or manual. Item #3: Add any local admin accounts. I recommend adding new account with a name matching the login account of the remote management PC. The names must match for some services to work. Run the following commands from the directory where hvremote is located to grant Hyper-V administrators the necessary permissions to do so. This asdds the admin to the “Distributed COM User’s group”. Again from an elevated command prompt, run the following command using the user you created under Item #3 above in the initial configuration GUI. If you have other 3rd party firewall software installed, you need to manually configure it with the same exceptions. You also have to set the “Virtual Disk service” on the Hyper-V server to Automatic and start it. To apply all changes a reboot of the PC is recommended. Download and install RSAT (Remote Server Administration Tools) on the management PC making sure you have the RSAT version compatible with that PC’s operating system. The link for Win7 SP1 is below. With these tools you can now connect the Hyper-V host and manage it from a PC using all those familiar tools like Computer Management, Disk Management, Windows Firewall with Advanced security, Task Sheduler, etc., and of course the most important; Hyper-V manager which will allow you to create and manage your VM’s the same as you would if you had the full GUI version of Server 2008 R2 as a host. You can access the Hyper-V console (still command line only) using a standard RDP connection. You can also install “Portable Apps” which you can then run from an RDP session. See further down in this list of Remote management tools. A great desktop gadget for monitoring the status of your Hyper-V servers, status and perfomance, as well as the ability to start and stop. Requires permissions and services as outlined earlier. Windows 8 desktop O/S will include Hyper-V support, however there seems to be some confusion about hardware requirements. “Processor : x64 compatible processor with Intel VT or AMD-V technology enabled. Simply open a command window with elevated privileges and run coreinfo –v to display the supported virtualization features. An asterisk indicates supported and a dash means unsupported. I should also point out, if you plan to enable Remote FX support on a Hyper-V server (a server O/S), whether Server 2008 R2 or Windows Server 8, you will need a SLAT compatible processor. Am I logged onto a virtual or physical machine ?